Because I’ve been reading a lot of eerie mystery thrillers lately (which I love, don’t get me wrong), I was in the mood for something light. 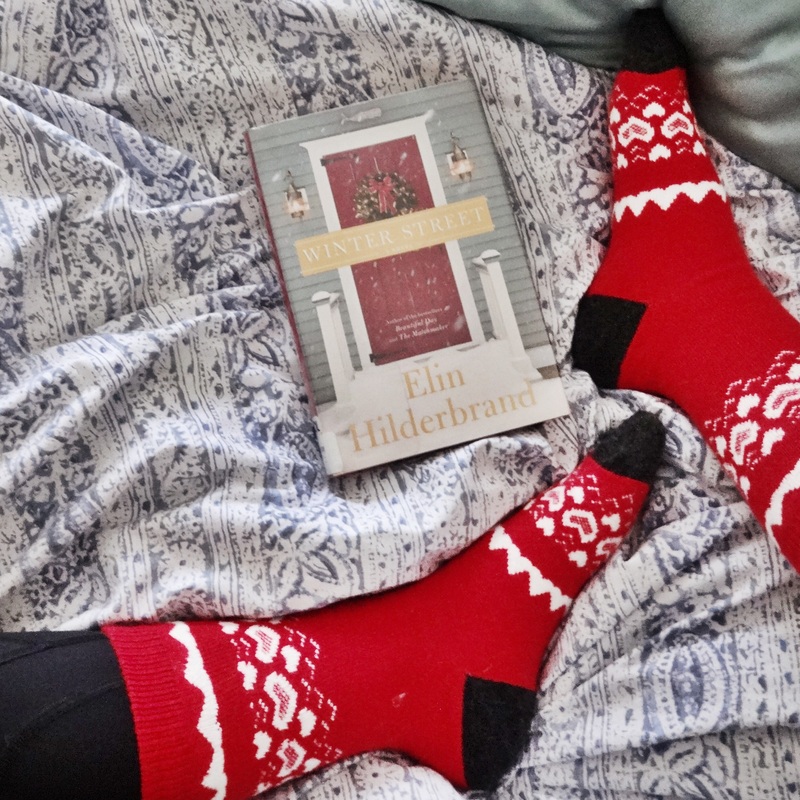 That’s exactly what I got with Winter Street by Elin Hilderbrand. It’s a light easy read that I flew through just in time for the holidays. The story is set in a nice bed and breakfast, the Winter Street Inn, of Nantucket. During the first few pages we learn that Kelley, the father of the family and inn owner, walks in on his second wife Mitzi sleeping with another man. Only a couple days before Christmas, Mitzi leaves and chaos ensues from there. Patrick, the eldest son, has made a huge mistake that could ruin his family. The second son, Kevin, thinks that he has found the love of his life. Ava is now in charge of the annual holiday Christmas party at the inn and can’t get her boyfriend to commit to her. The youngest son, Bart, is fighting in Afghanistan and no one has heard from him. Kelley’s ex-wife Margaret, a famous news anchor, might be just the person that can hold the family together when everything looks like its spiraling out of control. At the end of the story, the loose ends are tied into a neat bow, which is both satisfying and expected. As a story set during the holidays, it was an enjoyable read filled with images of cozy decorated rooms and elaborate meals. Looks like a good read for the holiday season~ and love your red socks!